Career Cravings is a straight-talking and humorous insight generation machine for your career. Dev Ramcharan, Meghan Reid and their guests bring you the best of their experience and expertise, sharing the kind of thinking that you need to help you sharpen your focus and transform your career. If you CRAVE a better and more satisfying ... See More CAREER, this radio show is for you. discoverHER radio, celebrating and promoting women who influence the world. Join us as we highlight women across the Santa Cruz, California community and beyond. Each and every week we offer information, inspiration and motivation for women around the world. We talk about the good and the bad of business, life, passion and purpose. Some ... See More days will be transformational, some will be informative and some will be just good ole’ fun. Encouraging Leadership: Conversations to mobilize today’s women leaders makes the wisdom of today’s leaders accessible to women wishing to develop and polish leadership skills for application in business and in life. Accomplished women and men share their experience and insights in conversations intended to inspire, support and mobilize ... See More exceptional women leaders. Hot Mamas is all about empowering and equipping women with the motivation and tools they need to live well at any age. We will discuss women’s needs and issues ranging from fitness, nutrition, yoga, weight training, natural remedies to combat hormone issues and weight gain, all to inspire and motivate women to live their best life. This ... See More is a fun and light-hearted look at life as a woman, full of laughs while discussing some often difficult subjects. Join us! Kristin Lloyd has been creating outstanding results for individuals, ... See More couples, and organizations for over 10 years as a highly accomplished psychotherapist, transformational coach, college educator, and consultant. Through her invigorating and transformative facilitation skills, Kristin has been guiding individuals, couples, and executives to achieve dramatic breakthroughs in mindset and motivation, self-confidence, productivity, commitment, interpersonal communication, stress reduction, and aligning with their soul's purpose as well as reinventing one's future for success. As a business woman and a single mom with a love for adventure ... See More travel, Alison began speaking 3 years ago and discovered a love for those hot topic; the ones people know about but don’t talk about. It is her mission is to challenge people to think about what they think about and question it rather than just accept the status quo. Speaking provides a great outlet for generating discussion and personal growth. We often take our beliefs for granted without ever questioning them and in doing so do an injustice to our beliefs, those who share our beliefs and society as a whole. A Call in show for people seeking the truth, advice or to have an expert guide them to see their situation in a new way that will allow them to find the lesson and use it for forward momentum in their life. A show that will help listeners rid their life of the blocks that keep them stuck and playing small. 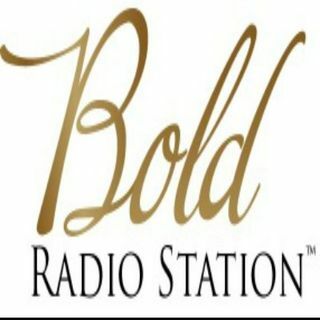 A show that will connect the ... See More listeners to the desire for positive change in their lives. An interactive call-in radio show where fun and transformation coexist.